When was the last time you thought about all of the different things that happen before a guest books a stay at your vacation rental? Sometimes guests find you from an Online Travel Agency (OTA) like Airbnb or HomeAway. Others might come from a listing. Other times a guest may come across your website (you do have one, don't you?) or from a friend who has enjoyed a fantastic stay at your home. No matter what platform or how your guest discovers your vacation rental, you can usually attribute bookings (and repeat bookings) to a few critical moments in the Customer Journey of your new guest. 1. 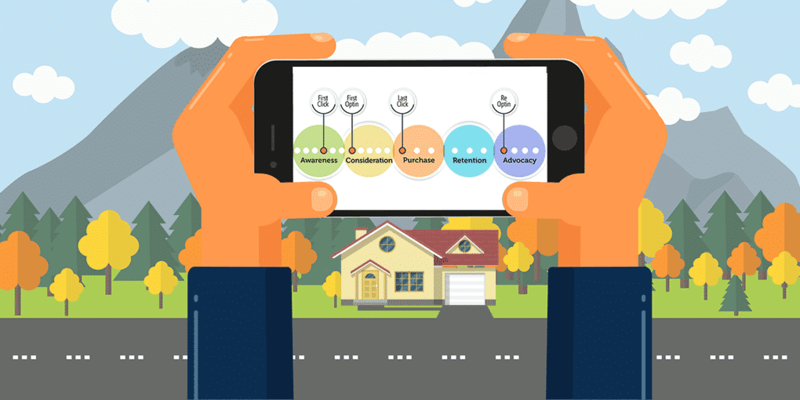 Awareness– When and how does the potential guest initially discover your vacation rental? 2. Consideration – Your potential guest has found you and are weighing the options. 3. Purchase – Yes! You have a new booking! Now what? 4. Retention – Does your leave you a great review and look forward to another stay? When we talk about awareness, usually the term Branding comes into the conversation as well. Who does your brand attract? 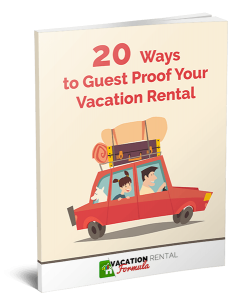 Where are potential guests first finding out about your vacation rental? My friend Ellory associates Branding and Awareness to Mind-Share. When a potential guest thinks about an excellent accommodation, is your Brand in the conversation? Once a user has clicked on your vacation rental website, I call that the “1st Click”. That 1st Click is critical in the journey because now we can track this potential guests' behavior and begin our Retargeting efforts. Awareness is very ambiguous. We can't really quantify the time a potential guest spent looking at other booking services (VRBO, HomeAway, Airbnb, etc.) before they found your website. Consideration, on the other hand, has a well-known triggering measure. In the mind of a potential guest, there has to be a certain level of trust and interest before they reach out directly to you, in the form of an Opt-in or an Inquiry. Once a potential guest has reached-out to you, you're in the running to earn the booking. Usually, you will have several messages or video chat sessions with the potential guest to vet out who exactly will be staying at your vacation rental and to cover all of the details. Now that the potential guest has “raised their hand” and expressed more interest, we can deploy more direct and aggressive Retargeting Campaigns to maintain Mind-Share. Get Your FREE 6 Point Marketing Plan! Finally! The moment we've all been working for. Your potential guest has made the decision to book a stay at your Rental. Make sure this phase of the experience matches what your guest expects. Is your payment process streamline and professional, or would it cause your guest to second-guess the decision to book your vacation rental? Make it as easy as possible for your guest to hand you money and sign your documents. Oh, and make sure the format and layouts represent your Brand and not a back-alley transaction. We all have on-boarding and welcome documents and emails to send guests, and this is a fantastic place to look into a bit of automation to save you time, and to give instant attention to your booking guests. Multiple marketing systems, like Active Campaign (A), can automatically send your guests emails and SMS text messages based on the Check-in date and just because you have the booking doesn't mean you stop talking with your guest. Include items such as coupons, attractions, “Top 10” lists, etc. to help them create the perfect experience. Now for the hard part. How do you stay in front of your guest after they have completed their stay and checked out? From discussions with hundreds of Vacation Rental Owners and Property Managers, there is not ONE right way to accomplish this. However, the successful Owners and Managers do something rather than sit on their hands and do nothing. To get started, the easiest touch point is to ask the guest to leave you a great review. We know platforms are always changing the rules regarding “asking” for reviews, but regardless, collect a review for your own website or in your guestbook that is on display in your vacation rental. Digital devices such as ‘YourWelcome‘ are excellent ways to get reviews when your guests are still at the property. After you have asked for the review, why not promote next year's stay? You can offer incentives such as local coupons and discounts. Ask for the guest to take an exit survey on the property and surrounding area. Anything to help retain the Mind-Share we talked about earlier. After a few promotions, move these folks (again, marketing automation will do this for you) into your newsletter email list. How do you know if you have created a Raving Fan? When the guest comes back and books again! I think we can all agree on that. These guests will be your champions in the Word-Of-Mouth marketplace. They will be the ones who recommend your vacation rental above all others to anyone who asks. You can create a special “club” for your Raving Fan Guests. They would be the first to know about last second availabilities, special promotions, and anything above and beyond just normal newsletters. If you are just starting out, and have not yet identified your Personas, this group of repeat guests would be a great place to begin building your ideal personas. When you begin using paid traffic to bring more potential guests into the Awareness and Consideration phases, start with these personas to target ads to your ideal guests. 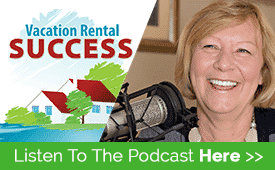 Whether you are just starting out in the vacation rental industry, or are a seasoned pro looking for the competitive edge, these 5 phases play a critical role in helping you to find and nurture your guests, to keep them coming back and turn them into raving fans. Make sure you are hitting all the best marketing strategies with our 6 point marketing plan and cover all the bases of the 5 Critical Phases Every Vacation Rental Guest Experiences.